SALE! now $368, originally $525. Vintage antique Goberg cigar cutter and match holder c. 1910. Rare! Bird’s head raises up to cut your cigar. Add this to your collection! 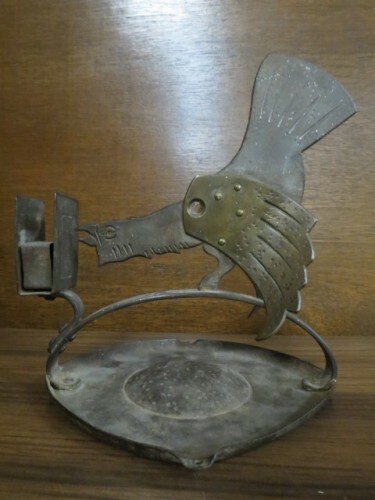 Goberg was a metal fabricator in Germany, creating highly coveted items sold primarily in Europe. Very good condition. Measures 8” tall, 8” across, 6.5” deep.